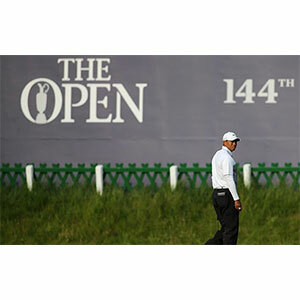 With the weather delays on Friday and Saturday it was like a slow painful death for many players waiting for final confirmation that they had missed the cut in the 144th Open Championship. Tiger Woods had no expectations of playing in the final round as he finished off his second on Saturday evening. The three-time champion was unable to better his overnight score of +7 and despite he pre-tournament claims that he was here to win, it was a poor showing. Woods is still capable of drawing crowds and producing the odd moment of magic but that is not enough for him to add to his 14 Major titles. His game needs some work. “I’ll be coming back in 2021," he said. "I’ll probably have less hair but hopefully a better game. Most people were 50-50 on Tiger would make the cut so it wasn’t a huge surprise but it is the first time he has missed cuts in back to back majors. No one really expected Tom Watson (+12) or Nick Faldo (+10) to play four rounds in their final Open appearances at St Andrews. Denmark’s Thomas Bjorn was -4 after his opening nine holes but had a shocker from there onwards to eventually miss the cut on +5. Fellow European Tour stalwart Miguel Angel Jimenez could only manage +4 but will probably become a Major winner on the Senior Tour in the not too distant future. England’s Ian Poulter and America’s Bubba Watson played together and both left together on +3. American trio JB Holmes, Keegan Bradley and Ryan Moore also failed to leave their mark and missed the cut on +3. The +2 group included Brandt Snedeker, Darren Clarke, Joost Luiten, Russell Knox, Stephen Gallacher and Jonas Blixt. Those who missed out by one shot included Shane Lowry, Tommy Fleetwood and Victor Dubuisson.